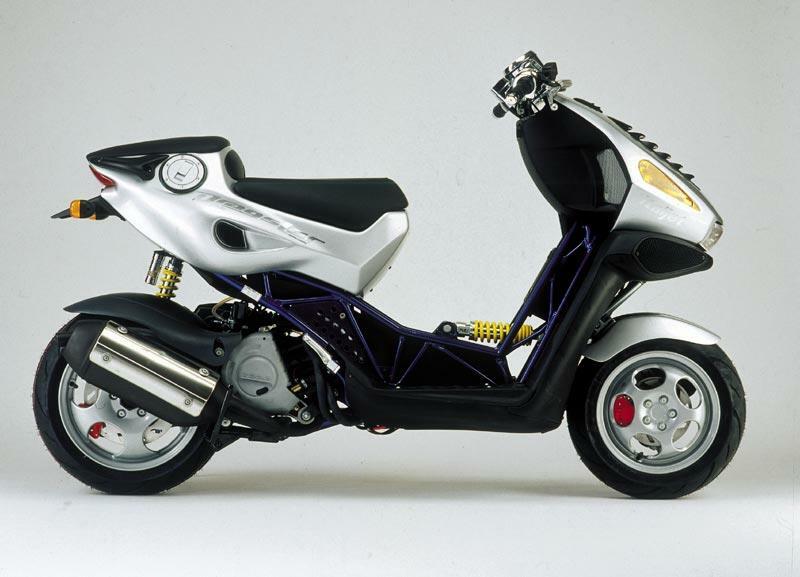 Italian manufacture Italjet are best known for their futuristic-looking Dragster scooter, which came into the UK from 1998-2003. 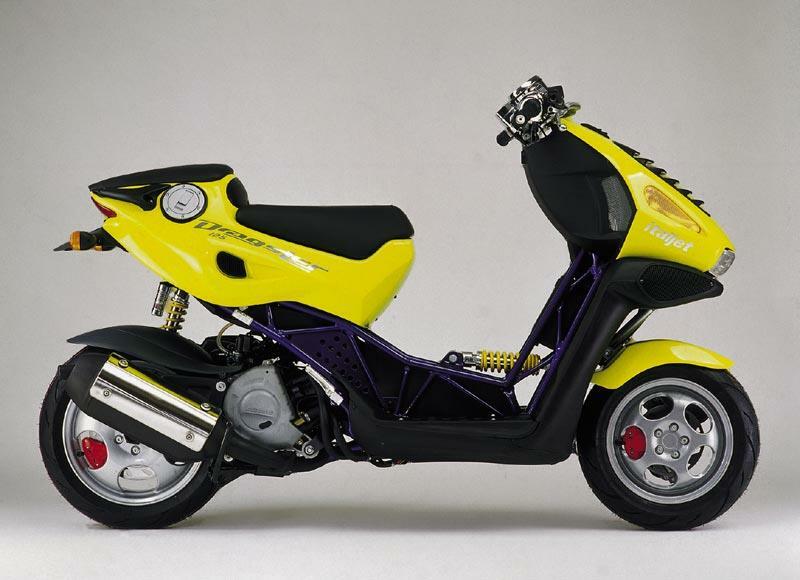 With funky styling, a Ducati-type steel trellis frame and hub centre steering the Dragster has developed a cult following, and spawned dedicated websites like www.italjetdragster.com. There are still companies providing spares, accessories and tuning parts, like www.italjet.co.uk. You can still see modified versions out there scooter and even drag racing. There are three versions available: D50LC, D125LC and D180LC. You’ll need a full licence for the 180cc model. The Dragster has all the benefits of a conventional scooter, it can zip through traffic and it’s practical with its automatic gearbox, comfy riding position and underseat storage. 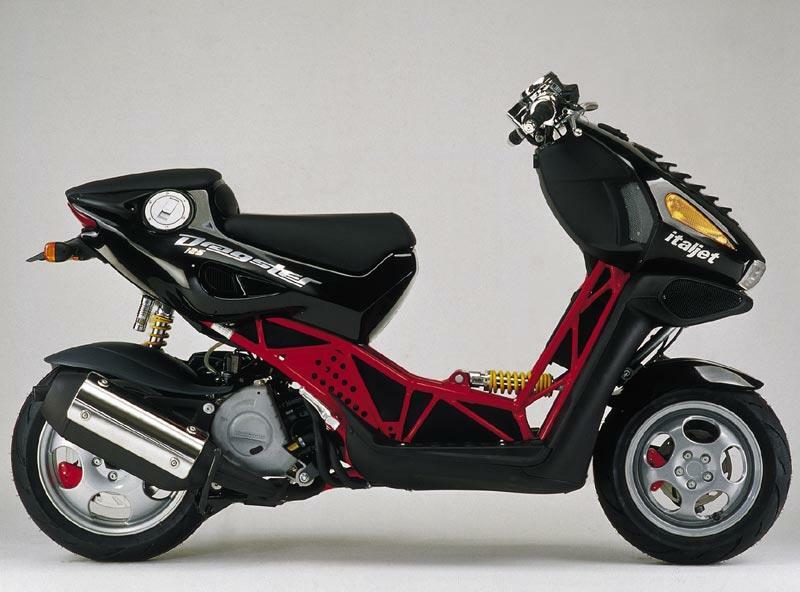 Unlike a typical scooter the handling is tighter thanks to a stiff chassis, front and rear disc brakes and wide tyres. All engines are single cylinder liquid-cooled two-strokes with an electric start and CVT ‘twist-and-go’ transmission. 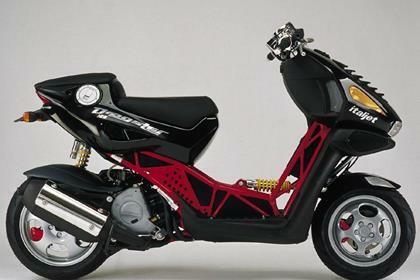 There are three capacities: 49cc (2.4bhp@6000rpm), 123.54cc (14.5bhp@7500rpm), 175.75cc (19.4bhp@8000rpm). The Dragster is well built but they’re getting old now and many will be showing their age, especially if used and abused by inexperienced riders. It’s still easy to get spares and tuning parts, though. Available in the UK between 1998 and 2003, mint condition machines are slowly becoming collector’s items, with the 125 being the most sought after. Expect to pay around £1500 for a one in good nick. Find an Italjet Dragster for sale. The Dragster is pretty special, as far as scooters go, it has lots of cool design touches, has Bimota hub centre-steering with a chunky front swingarm and exposed yellow-springed shocks. Buy parts for the Dragster in the MCN Shop. 1 owner has reviewed their ITALJET DRAGSTER 125 (1998-2003) and rated it in a number of areas. Read what they have to say and what they like and dislike about the bike below.